What better way to start the year by plunging into the sea at midday. It will cure any hangovers, give you a chance to do something for charity and realise that there are plenty of people as mad as you. The doors open at 10:00 giving participating bathers time to warm up and chat and luckily the sea around Madeira is a lot warmer than the North Sea where the Dutch, who incidentally created the tradition, plunge into to celebrate the beginning of a new year. Cantar os Reis is a charming Madeiran festival filled with carols and songs, celebrated on the 12th night after Christmas. Traditionally, troupes roam the streets at night, singing and playing music from door to door. Outdoor concerts are held all over the island, including Ribeira Brava, Câmara de Lobos and the auditorium in the Jardim Municipal in Funchal. The lively traditional carols are performed by local musical groups. To commemorate the end of the Christmas season, 'Santo Amaro' is celebrated throughout Madeira. Christmas delicacies are laid out on every table as families share a final festive meal and take down Christmas decorations, traditional lapinhas and nativity scenes. Festivities in Santa Cruz include stalls, music and food, as well as a candlelit procession to the Igreja Matriz to honour the patron saint. Traditionally held on the last Sunday in January in Chão da Ribeira, Seixal, this is one of the districts oldest festivals bringing families and the whole community together as they prepare their signature dish, similar to a stew but made from cabbage, pork and local sausages cooked in huge pots over open fires. Of course, everyone adds a little extra something, so each pot is a little different. Traditionally the meal was served on a bed of cabbage and eaten off the ground where the cabbage had grown, but times have changed. Of course with any local festival, there is plenty of music and an atmosphere that needs to be savoured and enjoyed. Madeira Orienteering Meeting is an event that is part of the Foot Orienteering Portugal calendar and takes place in January, with three different types of courses: Sprint, Middle Distance and Long Distance. Orientation is a challenge full of adventure that allows you to discover new experiences. The MOM competition is open to all interested parties, individually or in groups. Entries can be made in Madeira Adventure Club. Several municipalities with great natural conditions join forces to promote this outdoor pedestrian event, in which each participant or group may choose a sprint or middle distance race, according to their own rhythm and level of expertise. Consisting of three competitions (marathon, half marathon and mini marathon), this sporting event is organised by the Madeira Athletics Association. With trails of unique scenic beauty, this event brings together athletes of various nationalities. Held at the Pestana Forum Casino Hotel, the Weddings Fair ‘Funchal Noivas & Festas’ is organised by the Funchal Trade and Industry Association and the Madeira Chamber of Commerce (ACIF-CCIM) with the aim of promoting Madeira as the perfect wedding and honeymoon destination due to its beauty and diversity. The three-day event comprises of workshops and fashion shows showcasing both national and international talent. Valentine's Day is a special day celebrated by many people throughout the world. Escape on a romantic getaway to Madeira island, explore nature and enjoy some one-on-one time with your loved one. For about 50 years, Festa dos Compadres has symbolised the start of the Carnival festivities in Madeira, taking place on the weekend before the Carnival. Held in Santana, in the northeast of the island, the town celebrates the occasion with a parade of decorated floats, troupes in traditional costumes and musical entertainment. Actors perform comic sketches about social and political issues, while giant figurines are publicly ridiculed, judged and cheerfully burned. A variety of stalls offer some of the island’s most famous gastronomic specialities, including espetada and bolo do caco. One of the biggest street parties in Europe, Madeira’s Carnival, evokes the riotous spirit of Rio! The festivities begin on Saturday with an elaborate parade through Funchal featuring the island’s best samba bands and troupes dancing through the streets in dazzling costumes. The party continues throughout the weekend and concludes on Shrove Tuesday with the fantastic Trapalhão parade – when the streets are full of locals in outlandish costumes. The music is contagious… put on your dancing shoes and join the party! Ultra Trail of Porto Santo is organised by the Athletics Association of Madeira. This event has three races: 42 kilometres (the main), 21 kilometres (the second) and a shorter race of 7.5 kilometres. Cherimoya Fruit Festival is a traditional festival celebrated in Faial, Santana. This event celebrates one of the most popular and widely cultivated fruits of this region 'Anona' (also known as Custard-apple or Cherimoya). Visitors can enjoy great entertainment, traditional food and drink specialities. Funchal will be hosting its annual ‘Earth Hour Night Run.’ The 2.9 km race attracts runners from all over the island and is organised by the Athletics Association of Madeira. The competition is open to children, juniors, seniors and veterans. So, why not do something entirely different and put your best foot forward for ‘Earth Hour,’ as Funchal glimmers under the light of a thousand candles. The Madeira SUP Challenge is an International Stand Up Paddle Board competition comprising of two open sea marathons, 12km and 5km, technical and fun races and other activities all held in the beautiful bay of Funchal. Put together Madeira’s changeable winter climate and demanding topography and you have a world class triathlon attracting world-class competitors from all over the world. The event is divided into three different categories – Sprint (750m, 20.3km & 5km), Long (1.9km, 90.7km & 18.5km) and Olympic (1.5km, 37.9km & 9.5km) - as competitors swim, cycle and then run through some of the most dramatic sea and landscapes Madeira has on offer. Held in the beautiful Municipal Theatre Baltazar Dias this event brings together a considerable number of writers, poets, journalists and literary critics from all over the world to discuss different topics on the world of writing, previous issues have included Literature and Web, Falsity and Truth and Beauty: Body, Word and Image. During the week-long festival, there are several seminars, debates and workshops available with some having simultaneous English & Portuguese translations. If you are mad about literature or merely want to learn then this is the place to be. The Festival of Wine, Embroidery & Handicrafts is a celebration of Madeira’s unique crafts and winemaking traditions. Learn more about Madeiran embroidery, tapestry and ceramic tile painting by participating in workshops, or simply enjoy wine tasting, wine auctions, exhibitions of beautiful embroidery and live entertainment for three days. This event is hosted by the Madeira Wine Institute on Rua 5 de Outubro, Funchal. Sugarcane was initially planted in Madeira around 1450, and by 1455 with dwindling grain production, Madeira through the help of Sicilian advisors and Genoese financiers became a crucial player in sugarcane production. This and the location of the island meant that both Genoese and Flemish traders who were keen to avoid the Venetian monopolies had easy access to the new rare and favourite spice ‘sweet salt’ or sugar as it is known today. As such the Regional Sugar Cane Fair, held in the Farmers Market in Canhas, Ponta do Sol, honours Madeira’s ‘sweet salt’ past through the making of all things sugarcane including cakes, drinks as well as giving visitors the opportunity to cut cane and enjoy the ‘sweet’ delicacies on offer. Madeira Film Festival is a non-competitive festival that awards filmmakers the ‘Laurissilva Ambassador’ prize not only for their work, but also to raise awareness of the ecological preservation of natural resources, namely the Laurissilva forest, which is endemic to Madeira and considered Natural World Heritage by UNESCO. Belmond Reid's Palace Hotel and Teatro Municipal Baltazar Dias in Funchal, both synonymous with splendour, are the stages of this festival, created in 2012 by the Scottish director Aitken Pearson. It is currently the main annual film event on the island and already plays an important role on the national film festival scene. Besides the films, the diversified programme also includes lectures, musical concerts, workshops and fashion shows. The annual Lemon Festival is celebrated in the town of Santana, in the parish of Ilha. Local farmers proudly exhibit their produce, and there are plenty of stalls selling cakes and traditional food containing this vital ingredient. The parish of Ilha produces about 90 tonnes of lemons per year, which represents about 25% of the island’s production. Festa do Despique is also part of the festivities – a type of improvised folk music accompanied by traditional instruments. The Rum Festival, which is organised by the Institute of Wine, Embroidery and Crafts in Madeira, brings together local rum producers from all over the island giving residents and tourists the opportunity to sample the different rums produced on the island, a commodity that has grown significantly in both terms of production and quality over the past couple of years. Held at Largo da Restauração in the heart of Funchal this event provides a fascinating insight into Madeira’s rum history and production. MIUT (Madeira Island Ultra Trail) is a mountain race across the island, annually promoted by Clube de Montanha do Funchal. This event, which started in 2008 with only 141 adventurers, has now over 2,000 participants from more than 30 different nationalities, including some notorious names from the national and international trail scene. Along 115 km, from northwest to southeast, this unique and challenging experience starts at sea level, in Porto Moniz, crossing the island’s best tracks and highest peaks — Pico Ruivo (1861 m)/Pico do Areeiro — to end again at sea level, with the finish line in Machico. This event includes 3 other competitions: Ultra (around 85 km), Marathon (42 km) and Mini (16 km). The São Tiago Menor Festival dates back to 1521 and 1523 when Madeira’s population were besieged by the black death (plague). In response to this and the ensuing panic among the living community, the city’s leaders met at the Sé Cathedral in Funchal to discuss which saint they would choose to protect the people. In the end, they placed four names in a hat and picked a name at random, and so São Tiago Menor became the patron saint of Funchal. Today the festival is mainly celebrated in the Old Town of Funchal especially in Rua de Santa Maria and Largo do Corpo Santo with the highlight of the celebrations being the procession in honour of São Tiago Menor finishing at the Church of Socorro, Funchal where a mass to honour the saint is held. Every year, two weeks after Easter, Madeira Flower Festival fills the main streets of Funchal’s centre with floats displaying a myriad of flowers and colours. On the eve of the Sunday street parade, thousands of children gather on Avenida Arriaga (Children’s Parade) and go to Praça do Município where they build a ‘Wall of Hope’, made of thousands of flowers. Other activities during this time include the making of flower carpets in the streets, folklore performances, flower shows, classical music concerts and variety shows. Madeira Auto Parade is a parade of vintage motor vehicles, which is also included in the Flower Festival celebration programme, taking place at Avenida do Mar. 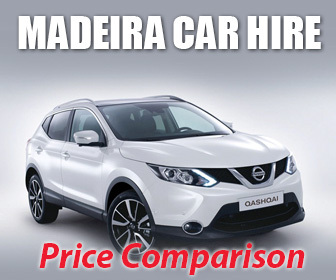 This is a great opportunity to contemplate the best classic cars and motorcycles in Madeira. For those looking for something a little different on the music scene then the Maktub Soundsgood reggae festival in Paul do Mar is just for you. This mesh of music, environment and the location make it a perfect place to chill, relax and listen to the vibe with your fellow reggae enthusiasts. The Enduro World Series (EWS) is one of the biggest Mountain Biking events in the world and Madeira became part of the competition in 2017. The Enduro World Series Madeira third stage, which is organised and promoted by Freeride Madeira and Clube Caniço will take place in Machico and promises to be a spectacular event. Traversing through demanding tough terrain, this ultimate adventure comprises of technical tracks, mountain routes, stunning scenery all set against the backdrop of the Atlantic Ocean and made especially tricky due to sudden and rapid changes in temperature and weather conditions, so much so, that riders often say they experience four seasons in just one day. The island's reputation of being one of the world’s best mountain bike experiences attracts some 900 competitors and coaches from all over the globe, including the United States, Canada, Australia, New Zealand, Ireland, France and Italy. While Madeiran cyclist Emanuel Pombo will be competing on home ground. Fica na Cidade (Stay in the City) is one of the newer cultural activities on the Madeiran social calendar, organised by the Funchal city counsil. Despite its youth, it is one of the largest urban music festivals of the year comprising of some 40 concerts held in four different locations around the city (Praça Amarela, Largo do Chafariz, Rua da Carreira and Zona Velha) showcasing some 150 regional, national and international musicians. In addition to the music the festival includes the ‘A Descoberta dos Sabores;’ bringing together a wide selection of restauranteurs all eager to showcase their thematic festival dishes. Fica na Cidade is a definite must for all music lovers with its eight days of eclectic music, good food and fantastic atmosphere, all doing something that Madeira does best – throwing a party! Created in 1977 and organised by the International Council of Museums, International Museum Day is celebrated globally on the 18th of May centring its activities on a given theme. The initial aim of the organisers is to create an environment where people will want to go out and explore their local or national museums, take part in the pre-arranged events and gain an understanding of how important these institutions are in modern day society. Entry to Madeira’s museums is free and many will either have extended or all night opening hours. Dedicated to the humble onion, Festa da Cebola is a charming tribute to local farmers and the agricultural produce of Caniço. Admire artistic arrangements and displays with local flowers and enjoy the parade of tractors and cars decoratively covered with onions. Traditional music, craft stalls and a selection of food and wine ensure this festival is a popular event for all ages. Don’t forget to take home a box of home-grown onions – direct from the farmer! The festival aims to promote all things relating to trout and cider, including trout fishing competitions, food tastings and traditional show cooking using trout and cider as the main ingredient and of course liberal samplings of cider, Madeira style! Although trout and cider may sound like an odd combination, the festival has the amazing ability to attract a wide variety of entertainment to Santana including regional folklore groups, theatre and dance performances and music from local choral groups. Thought to be one of the best beach parties on Madeira, the event takes place at the Complexo Balnear da Ponta Gorda, starting at 16:00 and ending at 02:00. The festival aims to promote both Portuguese and International artists crossing a broad spectrum of musical genres including jazz, techo and post-rock. So if you are looking for something fun to do, this will be for you. Held under the beautiful jacaranda trees in Funchal’s Avenida Arriaga, the annual Funchal Book Fair is a week-long event. Visitors can browse through the stands representing local bookshops and Portuguese publishing houses, or take part in events including book launches for new releases, poetry sessions, literary seminars, entertainment for children as well as exhibitions and live music performances. A great selection of books are available for all ages. Car-lovers rejoice! The annual Classic Auto Show is an outstanding exhibition of the finest vintage and classic cars on the island of Madeira. Stroll along Praça do Povo in Funchal to see a unique collection of rare and restored cars, motorbikes and scooters from another era, all in pristine condition. The day culminates with cocktails and an awards ceremony for the most original, best restored and ‘best of show’ vehicles. Organised by the Regional Secretariat of Education, and the Regional Directorate of Education this festival is reminiscent of the official opening of the Bejing Olympic Games. The week-long School Sports Festival held at C.S Marítimo creates a truly international feel with some 1800 children taking part in various gymnastic events. For many Ponta do Sol is quickly becoming the cultural capital of Madeira, and the Festival Aqui Acolá is no exception. Although still in its infancy this four-day event brings together dance, theatre, music, D’J’s and discussions from internationally recognised Madeiran film directors and so much more. It’s eclectic, and if you are into the arts, this is a festival of inspiration and genius, especially the live paintings depicting the history of Ponta do Sol! Madeira’s brass bands all come together in this exciting event in Ribeira Brava and have been doing so for the past twenty-nine years. Created to protect and preserve the cultural heritage of the bands and promote the music of lesser-known philharmonic composers. As such, each group has its own unique and individual style and sound. The events main attraction is the ‘band parade’ that takes place through the principal streets of Ribeira Brava with the bands finally gathering at the local church where they all perform together. The streets surrounding Funchal city centre come alive at the end of May during the 'Festas da Sé' Festival – a typical Madeiran arraial (street party). Local restaurants in Largo do Chafariz, Rua da Carreira, Praça Colombo, Praça do Carmo and 'Zona Velha' (the old part of the city of Funchal) feature special traditional menus and offer a wide selection of local food and wine. The streets are beautifully decorated for the occasion and entertainment includes stand up comedy, music from singing groups and brass bands. Madeira is considered to be the most spectacular location in the whole series of Ultra Sky Marathons with its changing scenery, steep ascents and general technicality; this is, in fact, a ‘technical race.’ The sport was created in 2004 and has gained popularity on the island with approximately two hundred competitors from twenty-one different countries taking part. Organised by the Federação de Campismo e Montanhismo de Portugal (FCMP) and the Santana Sports Club the event is divided into four categories – 55km Ultra Sky marathon (USM), the 20km Santana Sky Race (SSR), a 13km Mini Sky Race (MSR) and the very challenging and gruelling 4.8km Santana KM Vertical Race SVK). Although the SVK race starts early in the morning, the other three races start late afternoon into the evening as runners race through the night only to experience the dawn breaking over the mountains. As one competitor commented ‘It is amazing where your feet can take you!’ and where else in the world can you run above the clouds into a glowing and fiery new day. This outdoor fashion show, which takes place on the promenade outside the famous Cristiano Ronaldo CR7 hotel, is quickly becoming an essential event on the international fashion calendar. Of course, with its Madeiran take on things the show is that little bit different. As it intends to create a platform where regional, national and international designers can showcase their talent alongside great musicians and dancers, bringing an altogether different fashion show concept that not only highlights Madeiran talent, it proves to the world that the island has the potential to be one of the leading fashion capitals of Europe. Situated in various locations throughout the centre of Funchal the Regional Arts Week showcases the artistic skills of Madeira’s schoolchildren, approximately 4,000 take part in this annual event which encompasses dance, drama, theatre, music including instrumental and traditional Chordophone concerts, art including mixed media, collage, using recycled products and impressionist work. In addition to the 30 performances taking place during the week, there is also a hotly contested art competition. The art week is organised by the Regional Government of Madeira and other official educational, governmental departments with the aim of creating closer ties between local schools. This event is held in the historic town of Machico, the Medieval Market ‘Mercado Quinhentista’ celebrates the discovery of Machico through a series of sixteenth-century costumed enactments, horseback events, fire eaters, acrobats, open-air theatre and live music. However, the highlight of the event has to be the procession honouring the discovery of Madeira, as the first ship to enter Machico harbour sails into view. You cannot help but be swept away on a tide of enthusiasm as jugglers, singers, musicians, knights, farmers and dancing girls perform in front of the crowds. The town centre resembles a medieval market and as such has a wide variety of stalls selling medieval gifts as well as pottery and wickerwork demonstrations. It’s fun, all-encompassing and a great family event. Madeira is quickly becoming the canyoning mecca of Europe, with its steep topography, dramatic landscapes and abundant waterfalls, gullies and cliffs. This international event organised by the Federação de Campismo e Montanhismo de Portugal (FCMP) whose aims is to promote the preservation of the environment while encouraging more and more people to enjoy and embrace both canyoning and active tourism. Of course, canyoning in Madeira means that you will discover a side of the island that not many others will have experienced. The Atlantic Festival is an exciting annual event that combines entertainment and culture. It has three components: the Madeira Music Festival, the International Fireworks Competition and performances by philharmonic bands in Funchal’s centre. Classical music performances are held in the Palácio de São Lourenço, Teatro Municipal Baltazar Dias and several churches in Funchal, as well as in Mudas Contemporary Art Museum, in Calheta. Every Saturday night in June, contestants from different countries organise magnificent firework displays in harmony with accompanying music as part of the International Fireworks Competition. Festa dos Santos Populares is one of the most beloved festivals in Madeira. Dedicated to three saints, traditional parades fill the brightly decorated streets of Funchal and there is plenty of music, bonfires and food stalls. Santo António is the saint of love and many marriages take place during this time. São João – the patron saint of Porto Santo – is honoured with candle-lit balloons. São Pedro is the protector of fishermen, and lively celebrations are held in the fishing port of Câmara de Lobos and in Ribeira Brava. Organised by the Funchal Lions Club to raise money for their charitable works the regional bread fair is more than just the warm and delicious smell of freshly baked bread, it includes cakes! It proudly presents a vast array of stunning and delectable cakes. This one-day bread fair takes place at Largo da Restauração in the heart of Funchal on Avenida Arriaga with morning and afternoon entertainment provided by regional folklore groups. Generally speaking, soup is the mainstay of Madeiran cuisine, providing quick, easy and cheap sustenance. It may not be cordon bleu, but the islands soups are anything but boring as the Sopas do Campo Fair proves. Typically eighteen different soups are on offer including Grandma’s, cashew, yellow pumpkin, garlic and chestnut soup to name but a few. In addition to the warm, hearty sustenance of the soups the fair comprises of several stalls as well as entertainment from local musicians, folklore groups and children’s shows. The sweet, ruby-coloured fruit of the cherry tree is the guest of honour at Festa da Cereja, an annual festival held in Câmara de Lobos. A number of varieties are harvested throughout early summer, including the large Norberto variety, which has been adapted to Madeira’s climate and soil. The festive parade, stalls and music offer plenty of entertainment. Don’t forget to sample a glass of ginjinha, a delicious liqueur made from Morello cherries. Having moved the prime location to Praça do Povo on Avenida do Mar, Funchal, the Atlantic Roots Festival's organisers are determined to ensure that the three days of eclectic musical entertainment reach out to the largest audiences possible. Genres include traditional Madeiran, Funk and Jazz, as well as Portuguese music. The festival's popularity with locals and visitors to the island has ensured that the event attracts renowned regional, national and international artists. A fleet of beautifully restored classic and vintage cars is on display at the annual Classic Rally at the end of June. Visitors can admire the unique vintage vehicles along Avenida Arriaga before participants traverse the winding roads for over 400 km through the breathtaking landscapes of the island. The rally is held over a number of stages, from Funchal to Câmara de Lobos, beautiful Machico and Santana. Madeira Day is a national holiday celebrating the anniversary of the archipelago’s independence from mainland Portugal, granted in 1976 in the Portuguese Constitution. Official ceremonies are held throughout the Autonomous Region of Madeira, while families and friends enjoy picnics and plenty of lively local events. Madeira’s warm waters are teeming with fish, and this and its steep continental shelf means that the waters attract ‘sport fish’ such as Blue Marlin, White Marlin, Albacore, Big Eyed Tuna, Wahoo, Dourada and Bonito. With such an abundance of fish, Madeira is an all year round big game fishing experience, especially as line-caught Blue Marlin regularly weigh in the region of 700lb making the waters around the island one of the best places in the world for big game fishing. Of course, the ultimate experience is taking part in the Big Game Fishing Championship held on the 4th of July where competitors are challenged to catch the largest Blue Marlin. Madeira’s competitors have won this award on several occasions. Experience a taste of authentic Madeiran culture at ‘24 Horas a Bailar’, in the town of Santana. Local troupes perform traditional folk dances in colourful costumes, accompanied by musicians playing Portuguese instruments. Special groups from different parts of the island are invited to perform, while stalls selling local culinary specialities, drinks and crafts line the streets for this festival. Funchal Jazz Festival has grown into one of Madeira’s most popular cultural events. Visitors flock to the island to enjoy performances by renowned jazz artists from across the globe, as well as local bands and musicians. The festival is held annually in Santa Catarina Park, which offers splendid views of the city’s mountainous backdrop and Funchal Bay. Jam sessions, master classes and workshops for jazz aficionados are also popular events. For three days in July, Festa da Lapa is a tribute to the limpets harvested in the rocky shores around Paul do Mar, which are an important part of the local economy. Visitors can admire picturesque ocean views while enjoying one of the favourite local dishes – grilled lapas with garlic butter and lemon. Simply delicious! Entertainment includes traditional dancing, DJs and live music. Sponsored by the Town Hall of Funchal, the Madeira Regional Canoeing Association and the Madeira Sport for ALL Association the Regatta of Traditional canoes refers to the traditional fishermen’s rowboats. This hotly contested competition was created to retain and revive Madeira’s connection with the sea and fishing as well as stimulate an interest in the traditional sailing canoes. Competitors battle it out over a 2.5km open watercourse in the bay of Funchal, providing an entertaining spectator event. The agriculture fair was originally created in 1955 as a way of bringing local farmers together, especially as they were scattered far and wide and with limited transportation, relatively isolated. Nowadays the fair is not only a chance for farmers to get together the fair has become a major tourist attraction with its variety of livestock, exhibitions, stalls, including plant stalls and of course a wide variety of food and beverages on offer, all set off against the backdrop of Porto Moniz’s stunning countryside. NOS Madeira Summer Opening is a two-day music festival taking place at Parque de Santa Catarina, overlooking the stunning scenery of Funchal and the Atlantic. Festa da Banana is a tribute to one of Madeira’s most important local products, which flourishes in huge bunches thanks to Madeira’s pleasant subtropical climate. Held in the town of Madalena do Mar – home to the largest banana plantations on the island – visitors can enjoy the spectacular displays of fruit and flowers, as well as local food and entertainment. Madeira Island Open is one of two Portuguese golfing events on the official PGA European Tour for men. All three golf courses in the archipelago have hosted the event since 1993, including Santo da Serra Golf Club and Porto Santo Golf Club in recent years. Each course is set in a serene natural landscape with spectacular ocean views and lush greens – perfect for championship golf! Held in the summertime by the sea, Machico Food Festival Week showcases the unique flavours of Madeira’s wonderful cuisine for over 10 days. A wide range of restaurants and bars is set around a stage in Largo da Praça in Machico, where visitors can order a mouthwatering selection of traditional local delicacies, including fish, limpets, crabs and espetadas (a kind of kebab), accompanied by Madeira’s finest wines. Music and entertainment are provided throughout the week and the event includes a cocktail festival on the final day. Described as Nature, Sea, Mountain and Fun, the Porto da Cruz Trail Natura has it all. The event starts as a night race, giving runners the opportunity to see the dawn rise of over Pico do Areerio as they make their way along roads, through villages, mountain paths, serras and even steps as the competitors battle it out through the three different competitions to the finish line. The competition comprises of the Ultra 50km competition with athletes climbing altitudes of 1416m above sea level. The Long Trail 25km event, which is seen as excellent preparation for those wanting to move up to Ultra Trail running. The Short 11km race again is excellent for those new to trail running or those who want to find out what it is all about as this event has a little of everything including running along steep footpaths (veredas) and technical descents. The event is organised by volunteers, Friends of the Land and the Parish Council of Porto da Cruz, proving once again that Madeira is an ideal trail running holiday destination. Set in the picturesque town of Santana, made famous by its traditional A-frame houses, the Gastronomy Exhibit provides the opportunity for residents and those visiting the island to experience the towns signature dishes as well as view local produce and enjoy the many beautiful flower arrangements displayed around the town centre. The Exhibit has a very relaxed, informal and friendly atmosphere inviting friends and family to gather around and enjoy each other’s company over a delicious lunch and a glass or two of local wine or beer. If you don’t manage to get to any other events, you must visit Sea Week at Porto Moniz. The village, famous for its natural lava rock pools and dramatic seascape transforms itself into a fulfilled week of competitions, sea games (think ‘It’s a Knock Out), open water raft and barrel races and other competitions with teams of entrants coming from all over the island, making it a fantastic spectator event. Other attractions include the canoe regatta and cultural activities including live music from regional and philharmonic bands. Hungry? Well, there are plenty of stalls selling a wide selection of food from snacks to sit down meals. Sea Week – it is a nautical adventure. Organised by the Madeira Cycling Association, the Madeira Round the Island by Bicycle event not only attracts cyclists from all over the world, its routes and conditions are as such that it encourages young, amateur and professional bikers to take part. This three-day race takes competitors all over the island from Machico to São Vincente, São Vincente to Prazeres, while the Funchal race is held on the final day. Rally cars dominate Madeira’s picturesque landscape over three days during the annual Madeira Wine Rally. This top race attracts a number of European competitors, whose skilful driving is tested by the island’s mountainous routes, winding roads and unpredictable weather. Fans flock to watch the race, and there are plenty of places where visitors can gather to appreciate the speed and expertise of the drivers. The Madeira Wine Rally is one of the top events in the FIA European Rally Championships. First celebrated in the sixteenth century, the festival of Nossa Senhora da Saúde (Our Lady of Health) usually takes place on the first Sunday in September and pays homage to her healing powers. Having been accredited for her miracle of ridding Portugal of the plague in the mid-sixteenth century, she is often called upon to heal the sick. Madeira celebrates this event in Lameiros, São Vincente through a series of nine masses and special church services in her honour. As with all Madeiran religious festivals, pilgrims now as then enjoyed feasting and celebrating in her name and this year is no exception as everyone is encouraged to enjoy the local cuisine, friendship and performances by local bands, DJ’s and traditional dancers. Madeira celebrates its rich cultural heritage in many different ways, but none so vibrantly or passionately as Art Camacha. Organised by the Casa do Povo Camacha, this week-long event combines sporting activities and culture, including wicker, embroidery, fashion, music, dancing, theatre and literature this festival brings together all these things, creating a unique, vibrant and wholly entertaining event. Fished at a depth of several hundred metres the Black Scabbard Fish or “Espada” is one of the most typical specialties of Madeiran cuisine. However, its diversity is sometimes overlooked, and it is through the initiative of the Black Scabbard Festival in the village of Câmara de Lobos that visitors to the island can appreciate what an outstanding and versatile fish this is. With a myriad of different ‘show cooking’ workshops and tasting sessions, you are bound to find that one dish you will never forget. As with all great festivals, the enjoyment of eating is accompanied by great entertainment, creating a vibrant unmissable atmosphere of fun and celebration. The world in which we live touches us all; whether it is mobility, human rights, conservation, business or pleasure it affects us both directly and indirectly. As such the SANTAcurtas Short Film Festival aims to showcase films that may be unavailable to watch in traditional cinemas and develop a passion for directors and actors to create films that tell a story, move an audience and make a difference in their rawness, intensity and vulnerability. Held in the atmospheric setting of the Quina do Revoredo amphitheatre in Santa Cruz this event regularly attracts a broad genre of films from a truly national and international mix of film directors and actors. A must for film enthusiasts and those interested in cinematography. Madeira is no stranger to experimenting with music and with a musical history that has been influenced by European, Arabic, and slaves from Guinea, Morroco and Mauritania there is little doubt that Madeira’s tastes are as diverse as music itself. As such Concertos L provides the perfect platform for music lovers as the genres are eclectic, ranging from rock, jazz, indie and traditional, performed by local, national and international artists. Held in the grounds of Estalagem da Ponta do Sol and within earshot of the Atlantic ocean, what better way to experience new music by artists as passionate about their art as we are about listening to it. Monte Festival is one of the largest religious festivals on the island. Nossa Senhora do Monte Church, located in the hills of Monte, is beautifully decorated with flowers in honour of Our Lady of the Monte, the patron saint of Funchal city. Pilgrims take part in a procession to the church, with the streets covered in flowers. This picturesque place comes alive with entertainment and festivities, including music, dancing and stalls serving local food and drinks. There is something about Madeira that makes gastronomic festivals unique, and the Caniço Gastronomic Festival is no exception. Celebrated in both Reis Magos in Caniço do Baixo and in the public square in Caniço, the popularity of the festival is long withstanding. Even so, organisers are keen to create something special every year, as are the bars and restaurants who attend the event showcasing their signature dishes, with the aim of encouraging visitors to try something new. Meandering through the many stalls the feeling is unmistakable, you are part of something, something different and unique, you are part of the community whether it's sampling the dishes on offer, sharing a drink with friends or watching the moon shimmer on the ocean, all accompanied by great music from local bands and traditional dancers. Dia da Cidade do Funchal commemorates the anniversary of the Royal Charter signed by King D. Manuel I in 1508, which officially recognises Funchal as a city. Historically an important sea port for trade, Funchal was the first European city built in the Atlantic. Official ceremonies include a mass at the Colégio Church and an assembly at the Town Hall, as well as plenty of local events and festivities. Porto Santo’s Wine Harvest Festival is one of the biggest events in Porto Santo. Held in Largo das Palmeiras, visitors enjoy the opportunity to get to know the grape varieties produced on the island. Activities include wine tasting, winemaking demonstrations and an exhibit of some of the tools and equipment used to cultivate and harvest the grapes, including a traditional wine press. Music and folklore groups provide plenty of entertainment. For such a small island, Madeira’s festival culture is second to none. Originally used to celebrate religious festivals and feast days, nowadays Madeira enjoys celebrating its cultural heritage alongside its musical and culinary tradition. And the São Vincente Festival is no exception! Especially, as it affectionately regarded as one of the best parties on the island; each year thousands of partygoers of all ages flock to São Vincente to watch and listen to local, national and international bands and artists, dance the night away to local DJ ’s and enjoy the haunting rhythms and melodies of local folklore groups. It is an unmissable event. Dancing is a vitally important aspect of Madeiran cultural life and although the typical traditional dances have several influences, including the mainland, Moorish slaves, Arab melodies and different elements of European dances, the Madeiran traditional dancers have a style that is unique to them and something that you will not be able to see anywhere else in the world. As such, the picturesque town of Ponta do, Sol comes alive to the music, singing and dancing of both local and international folklore groups in what is described as a lively foot-tapping all-encompassing event which encourages children, young adults and adults to perform together as they weave their tales of days gone by different national and international groups. Although Madeira folklore has a vibe all of its own, it is genuinely unique and although its the national the dance of a small country, its liveliness and soul has managed to captivate many throughout Europe. As such, local, national and European groups come together to celebrate six hundred years of culture, dance and music in one very lively and entertaining week performing in the heart of Funchal at the Municipal Gardens Auditorium. Recalling the social and economic importance of Madeira wine by reliving old wine-growing traditions, Madeira Wine Festival is held in September during the main period of grape harvesting. The festival begins in the village of Câmara de Lobos with the actual picking of the grapes, the pickers’ parade, the treading of the grapes and other related traditions that are enjoyed by locals and visitors alike. In the centre of Funchal, this Festival includes light, sound and folk shows, all related to wine-making traditions, and many stands serve typical Madeiran food and drink specialities. There is also a historical-ethnographic parade, where you can see how rich the wine culture in Madeira is. The small town of Porto da Cruz is a hive of activity throughout their annual Grape and Farmer festival, which remains one of the parish's most important cultural events. The town is renowned for its winemaking prowess, especially its dry red wine which is locally known as ‘vinho seco.’ As with all Madeiran cultural parties, the event celebrates in style with an exciting parade comprising of folklore groups, men in traditional costumes, unique floats as well as costumed performances and the opportunity to see some genuinely iconic winemaking equipment. And if that isn’t enough, there is always the opportunity to sample a little local wine while you enjoy yourself. Madeira’s religious festival calendar is as relevant now, as it was when the island was first populated in 1419. But perhaps none are quite so revered as the Feast of Jesus and the Holy Sacrament, held in the beautifully crafted and intricately decorated ‘Church of the Good Lord Jesus’ located in the heart of Ponta Delgada in São Vincente. Initially, pilgrims would trek for several days along the meandering paths that lay from the south to the north of the island to celebrate this sacred festival, and even today a large number of pilgrims arrive to worship the Santissimo Sacramento. It is small wonder that it is one of the largest and most revered festivals on the island. You may not know it but table tennis is big on the island, and with 27 clubs the sport is expanding all the time. With a determination to be seen on the world stage, Madeira’s would be Olympians train and play hard, competing in local and national events. The Elite Youth Team have their goals set further afield; to be selected to play for Portugal and secondly to be on the Olympic Team. As part of the yearly cycle of events and competitions, Madeira's International Table Tennis Open Competition will be held in the sports pavilion of Bartolomeu Perestrelo School in Funchal. This festival is dedicated to the great navigator Christopher Columbus and recalls the discoverer’s life in the Madeiran archipelago, his voyages to the Americas and the glorious times of the Portuguese Age of Discoveries. Held in Vila Baleira on Porto Santo Island, this week-long event features lots of music, exhibitions, parades and street parties. Columbus’ first visit to Madeira was in 1478, when Funchal was an important sugar trade centre. However, his closest ties to the archipelago result from his marriage to Filipa Moniz, daughter of the first captain-donee of Porto Santo. Columbus lived in the archipelago for a few years during the last quarter of the 15th century, and his first child, Diogo, was born in Porto Santo. The highlight of this week is the re-enactment of Columbus’ and his party’s arrival in Porto Santo’s harbour. Taking place in the rural village of Ponta do Pargo, in the municipality of Calheta, this event transforms apple production into a very lively and popular feast, bringing together many people from neighbouring regions. The apples of this region are even mentioned by renowned writers, who refer to their delicious aroma. This is a very popular festival with the usual outdoor stands selling food and drinks. The first images of Our Lady of Mercy appeared in 1280, and she is usually depicted open armed with the folds of her cloak open so that those in need of her protection can find shelter. In the fishing town of Caniçal, she is revered by local fishermen and their families as their way of showing their gratitude for her protection over those whose livelihood depends on the sea. Decorated fishing vessels take the image of Our Lady of Mercy and would be pilgrims out into the ocean where prayers are invoked asking her to bless the sea and the fishermen who sail upon it. This is a very lively event, and as with all Madeiran religious festivals, there are plenty of local dishes to try, live entertainment and a feeling of gratitude and hope. The game of squash has taken the nation by storm. Initially introduced to the island through the hotels, the game suddenly stormed into prominence with its fast, furious pace and as such the Madeira International Squash Open was born. Attracting players from all over the world, the Hotel Galosol located in Caniço de Baixo, plays host to this years event, fittingly so, as the hotel was one of the first hotels to build a squash court on the island. Squash Voyage will be hosting their first ever Madeiran International Squash Camp at the hotel Galosol, located in Caniço de Baixo. The camp aims to attract between 20 -30 international players to take part in an entertaining training programme with a very experienced squash coach. The schedule of this event includes daily group lessons, private training as well as different opportunities to get to know this beautiful island through sightseeing tours and action activities. Although squash is gaining in popularity on the island, the organisers hope that the camp will allow others to get a feel for the game through the camps instructional and fun environment. For more information, prices and to reserve your spot, please contact Squash Voyage. The two-day Madeira Surfski Lifesaving and National Canoe Championship organised by Madeira Regional Canoeing Association, and the Portuguese Canoeing Federation puts its competitors to the test. On Saturday, participants run through the surf in Seixal carrying their kayaks to then paddle them through the surging waves negotiating a 500m predesigned course. Sunday’s open sea canoeing event in Machico is anything but easy, with competitors of all categories racing a 19.3km course. These two very different competitions in different locations with challenging surf, wave and open sea conditions provide the perfect setting for this very demanding event. The Apple Cider Festival promotes the popular Madeiran tradition of making delicious apple cider from the apples grown in the parish of Santo da Serra. This festival comprises a small procession, which includes the pressing of the apples, as well as much music and lively activities connected to an agricultural theme. For the last several years running has become an ever increasingly popular sport in Madeira. Whether it’s road running or battling against the topography of the island, it attracts runners locally, nationally and internationally. The Madeira Uphill 2000 is no different, and It’s uphill all the way! Considered to be one of Europe’s toughest races, competitors battle it out from Avenida do Mar, Funchal to Pico do Aeerio, against the backdrop of some of Madeira’s most beautiful scenery and toughest terrain. The half marathon not only traverses some 21km, it demands runners to race steadily to the summit of Pico do Aeerio, some 1,821m above sea level. For those a little intimidated by the route, the organisers also hold a 10km mini-marathon, and a 21 km relay race of teams comprising of four athletes. Madeira celebrates World Tourism Day with activities and entertainment that recognise the importance of tourism on the island. Downtown Funchal is beautifully decorated with flowers for the occasion, and visitors enjoy free entry to a number of gardens and museums in Madeira. Music and folk dancing groups provide plenty of cultural entertainment throughout the day, while visitors will also be greeted with flowers, gifts and entertainment at Madeira Airport. The northern town of Faial, Santana is more than just a tourist attraction; it’s home to one of the most adrenaline-fuelled sports around, Biosphere Roller Skating (Ribeira do Faial). These inline skaters battle it out during their end of season three-day international speed skating competition; It’s fast, furious and highly competitive. However, the drama doesn’t end here, at the end of two days of races competitors then move to Funchal to take part in the Funchal Marathon, which has entrants racing furiously along Avenida do Mar, making it not only an exhilarating sport but a fantastic spectator event. Discover the natural beauty of Madeira with the Madeira Nature Festival, a new addition to the island’s annual events calendar. The dynamic programme offers insights into Madeira’s natural and cultural heritage, as well as a wide range of adventurous activities for all ages, from paragliding over the mountains to sailing the deep blue Atlantic. On the 9th of October 1803, flash floods ripped through Madeira tragically sweeping over 600 people out to sea, although some sources even suggest a higher figure of a 1,000. As the floods unleashed their power on the south of the island, the small chapel in Machico was destroyed, and with it, the statue of ‘Our Lord of Miracles’ was swept out to sea. However, as if guided by a stronger force the figure was found three days later and quickly taken to the Sé Cathedral for safety and protection. It was then restored to its former home after the chapel was rebuilt in 1813. Each year this two-day festival attracts pilgrims and visitors from all over the island to pay homage to ‘Our Lord of Miracles’ through spiritual and religious candlelit processions and ceremonies held at the Igreja Matriz de Machico. Part of the cultural festivals of the island, Madeira Organ Festival is a celebration of the enduring music of the Portuguese organ. Recitals in some of Madeira’s most beautiful churches are held every evening for 10 days in October, featuring beautifully restored organs (dating back to the 18th and 19th centuries) from Portugal, Italy and England. These dramatic recitals are accompanied by chamber groups, classical musicians and solo performers. This Apple Festival takes place in the rural parish of Camacha and consists of an exhibition and street parade, which is very pleasant for both participants and visitors, due to the variety of colours and aromas perfuming the air. Don’t forget to sample some of the freshly-squeezed apple cider. Comprising of running, swimming and cycling events the European Triathlon Cup and the Portuguese Triathlon Cup are organised by the Regional Triathlon Association of Madeira and the Triathlon Federation of Portugal. It’s tough demanding and challenging requiring competitors to be at the peak of physical fitness as they battle it out against each other in the three events comprising of a 1500km swim, 40km cycle competition and a 10km road race, all of which take place around Funchal attracting a large number of local, national and international competitors. Organised by Clube Naval do Funchal and the Madeira Swimming Association this challenging annual open water event comprises of fun activities including stand up paddle boarding and children’s races as well as the competition which is made up of several different events. These include the European Swimming League 10km Olympic distance, the popular 1500 metre event, both of which take place at Quinta Calaça Bay. A further two endurance races of 13km from Ribeira Brava to Funchal and a smaller 4km race from Camâra de Lobos to Funchal are hotly contested events. Being a popular holiday in the UK and North America, Halloween is also celebrated on the island of Madeira. At few shopping centres in Madeira, kids dress up in costumes, get their faces painted and then go trick or treating from store to store. Madeira Magic Park also organises a Halloween party for kids with a programme of exciting events. Bars and nightclubs throughout the city also host Halloween parties. On the first day of November in the rural parish of Curral das Freiras, homage is paid to the chestnut, which grows in abundance in this area. The local population makes the most of the chestnuts, using them as a main ingredient in many local recipes, including baked goods, soups and liqueur. This feast reflects the numerous cultural and traditional aspects of this rural area. Organised by the Bridge Association of Madeira, their annual Open Bridge Tournament promises a week of excellent bridge on the beautiful island of Madeira. The event consists of warm-up matches, pairs and team tournaments, cool down matches, discussions, island tours and of course side orders of even more bridge. Organised by the Friends Association of the Conservatory of Music of Madeira (AACMM) and held in the beautiful Municipal Theatre Baltazar Dias, the Madeira Piano Fest comprises of several different concerts including both classical and contemporary music genres from solo artists, four hand performances and two piano recitals from some of Europe's leading and up and coming talent. This cycle of concerts is a must for all music lovers. Created in 2010 the Rota das Estrelas primary aim is to promote Portuguese haute cuisine, and as such, brings to Madeira renowned national and international chefs awarded with the magnificent Michelin stars and is exclusive to Michelin starred restaurants only. 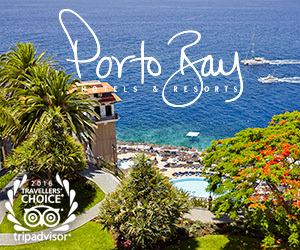 Included in this prestigious list of restaurants is the IL Gallo D’ouro restaurant, Madeira’s only Michelin star restaurant situated in the stunning Cliff Bay Hotel, where this year's event is to be held. This festival comprises of several events held throughout Portugal and now Spain between March and November and includes gourmet dinners, workshops, show cooking, wine tasting and local produce tours. Music in the Chapels was initially created in 2013 with the aim of generating a better awareness of Madeira’s music talent and traditions as well as showcasing them in some of Ponta do Sol’s most emblematic heritage sites – the chapels of São António and São Sebastião. Lit with a hundred plus candles the setting for the concerts is intimate and atmospheric as the lights shimmer, reflecting the quality and beauty of the music. The shows take place fortnightly covering a wide variety of musical genres from traditional, classical and philharmonic all performed by a wealth of talented Madeiran artists. The Sandokan – Enduro is part of the Enduro Madeira Mountain Bike Series organised by the Madeira Cycling Association, attracting internationally renowned competitors such as Joe Burns and Fabien Barel. The competition is divided into several categories including Open non-licensed, Women’s, various male events as well as E-bike and Sandokan pairs race. With competition as fierce and as unpredictable as the ever-changing terrain and conditions, this race is a favourite among mountain bikers due to its demanding trails and fantastic if ever-changing scenery and weather conditions with the final stages attracting a large variety of spectators. This annual religious event takes place at the Church of São Martinho where the people traditionally bake the last of the nut harvest, celebrate the goodness of São Martinho and taste the new wines made from the previous year's crop. Legend has it that St. Martin or Martin de Tour, a Roman soldier was on his way home during a bitter November where he chanced upon a beggar. On seeing the beggars plight, he ripped his cloak in two and gave the beggar half so that he could warm himself. On presenting the torn cloak to the vagrant, the bitter cold vanished, to be replaced by a warming sun, a reward for his kindness. These days, the eve of St. Martin is still celebrated as a herald to better weather, while the festivals religious significance is observed at the local church. As with all Madeira parties, there are plenty of stalls selling food and tempting visitors to taste the young homemade wines. Film buffs gather for the annual Funchal International Film Festival, which presents a wide selection of independent films in a variety of genres. Held in Teatro Municipal Baltazar Dias, this week-long festival comprises an international competition for feature and short films, as well as animation, documentaries and a local competition for films produced in Madeira. Every year there is also a retrospective of the best Portuguese filmmakers. The Essence of Wine Show brings together local and national winemakers in one of the biggest wine shows in Portugal. Held at the iconic Pestana Forum Casino, the event comprises of wine tastings, show cooking by renowned chefs as well as plenty of advice, good food and a chance to sample some of the best wines Madeiran and Portugal has to offer. Christmas and New Year celebrations in Madeira offer a varied programme of cultural, folk and artistic events. The festive season starts in December when Funchal streets are magnificently decorated, and the colourful lights are switched on in the city’s main streets until early January. With screenings held in the scenic village of Ponta do Sol, the Madeira Micro International Film Festival combines both nostalgia and modernity with nightly showings taking place in Madiera’s oldest cinema, the 80-year-old Art Deco Cinema Cine Sol and the very modern, John Dos Passos Cultural Centre. The event attracts amateur film directors from all over the world giving it a truly international feel providing a wealth of film genres to choose from, also with limited screenings per night, the organisers feel that it creates the perfect platform to allow filmmakers and viewers a chance to interact with each other. From China, France, South Africa, Italy, Ecuador and now Portugal, the MaXi Race Madeira is finally here. With a choice of three distances 25km (Starter), 68km (Long) and the ultimate (Ultra) challenge at 103km, runners will be racing through some of the most spectacular scenery that the island has on offer, from craggy mountain peaks, rivers, tunnels and winding paths. It’s tough, demanding and as the organisers of the event would say, a chance to see some of the most beautiful countryside in the world. No wonder it attracts competitors from all over the globe. Dedicated to the birth of Jesus, this nine-day mass represents the nine months of pregnancy the Virgin Mary underwent. The celebrations start at 06:00 on the 16th and end at sunrise on the 24th. As with all essential religious events the Childbirth Mass or Missa do Parto is celebrated extensively throughout the island. Evidence shows that the first masses were celebrated in the early 18th century, and today as then the series of ceremonies play an essential role in Madeira’s religious calendar, as it is a time of profound contemplation and anticipation over the birth of Jesus. That said, there is also a more lighthearted side to the event with hundreds of people gathering outside their churches enjoying local food and drink while listening to live music from traditional regional bands. After the nine-day Missa do Parto, Market Night on the 23rd is a night of rejoicing as the Old Town of Funchal transforms itself into a massive all-night market. The event attracts thousands of locals and tourists alike into the bustling, busy streets as last-minute shoppers pick up fresh produce for the days ahead while the streets are lined with bars and eateries tempting everyone to enjoy in a little late night feasting and drinking while listening to Christmas Carols. Of course, no Christmas Market is complete without trying the ‘Carne vinho alhos,’ a speciality sandwich made of meat marinated in wine and garlic. It’s busy, hectic and a time where everyone gets to meet up with friends and family before Christmas in a little outdoor celebration. Created in 1958, the São Silvestre Race which is organised by the Athletics Association of the Autonomous Region of Madeira is not only ideal for burning off those excess Christmas calories it is one of the oldest races in Portugal and Europe. Racing through the streets of Funchal some 2000 entrants of all ages, nationalities, locals and visitors to the island battle it out across the finish line. The competition comprises of several events starting late afternoon with the Wheelchair 500m race, at 17:45, various children's contests at 18:00, the Health Walk/March at 19:00 and of course the principle 6km race which begins at 20:00 allowing participants to run through brightly illuminated, Christmas decorated streets. The races start and finish at Avenida Sá Carneiro, and registrations close on the 27th of December. New Year’s Eve is celebrated everywhere on the island, in hotels, restaurants, bars, and even in the streets. The highlight of the New Year’s Eve festivities is the spectacular fireworks display – set off from approximately 50 posts – that illuminates the skies over Funchal. This is a truly unforgettable event, which brings back a multitude of visitors to the island every year.